This week on the podcast we discuss The Blackthorn Key by Kevin Sands and the story structure concept of pinch points. We review The Blackthorn Key, the first book is a fabulous Blackthorn Key Adventure series by Kevin Sands. 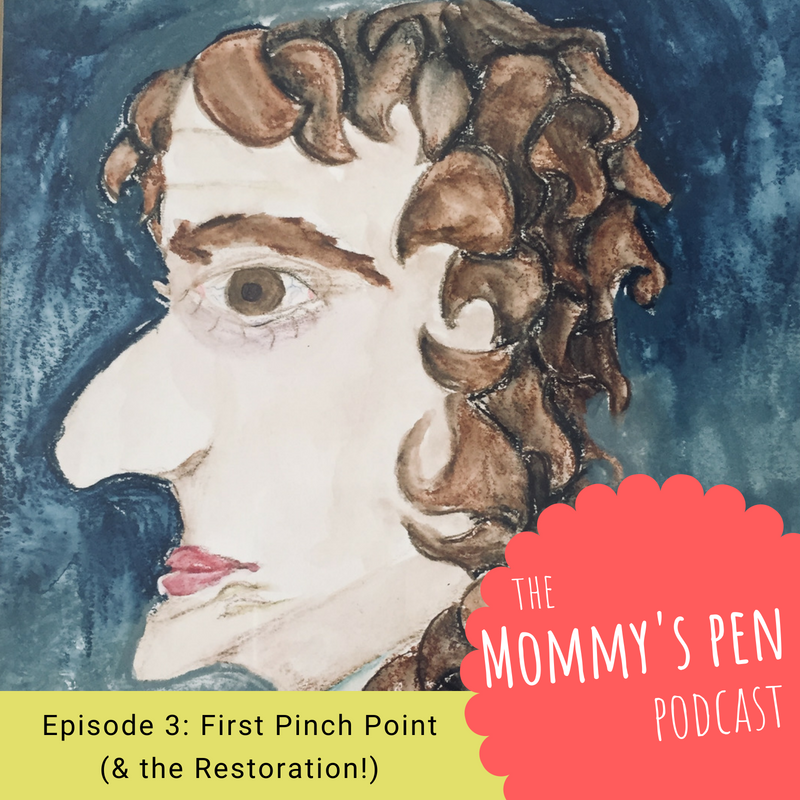 For this week’s story structure lesson, Sue explains what a pinch point is. You also get an entertaining rundown of Britain’s Restoration era from amateur historian, Nora. Incidentally, the art featured above for this episode is a Nora original in watercolor pencil. The gentleman William III (a nephew of Charles II). The audiobook version of The Blackthorn Key is excellent. If you want to learn more about pinch points and a four-act structure for stories, I highly recommend the work of Larry Brooks. You can see a list of his books at the Story Fix website. This week on the podcast we discuss ancient Egyptian body odor and the story structure concept of the first plot point. We are now available on Apple podcasts! As a new show, reviews are VERY important to help us grow. Please consider leaving a review. Nora reviews Cleopatra VII: Daughter of the Nile from the Royals Diaries series. 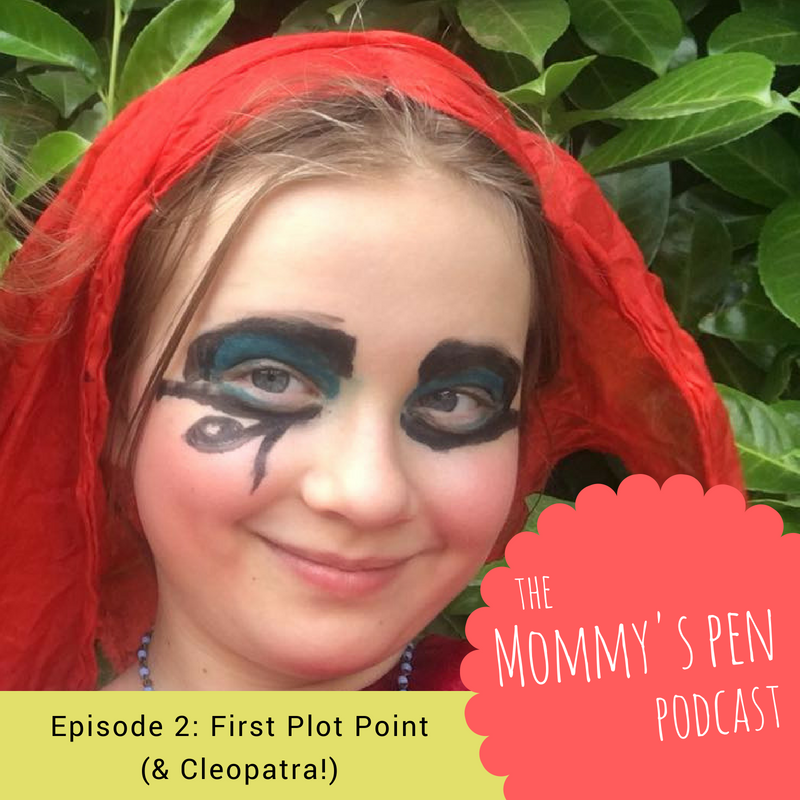 Sue explains the function of a first plot point (FPP) and Nora takes a stab at identifying the FPP in Cleopatra and Harry Potter and the Sorcerer’s Stone. Nora also clues us in on how ancient Egyptians handled body odor (hint: it involves snakes) and points to some great places to learn more about history. You can follow Mary Beard on Twitter and read her column “A Don’s Life” in the Times Literary Supplement. But please do yourself a big favor and head over to YouTube, search for her name, and start binge watching documentaries on ancient Rome. This woman is one of my heroes — a brilliant presenter AND totally unwilling to wear make-up or a bra while fronting programs for the BBC. Horrible Histories started as book series and is now a television series in the UK. It’s bloody good fun and you can watch all the episodes on Hulu.com. If you want to learn more about first plot points and a four-act structure for stories, I highly recommend the work of Larry Brooks. You can see a list of his books at the Story Fix website.